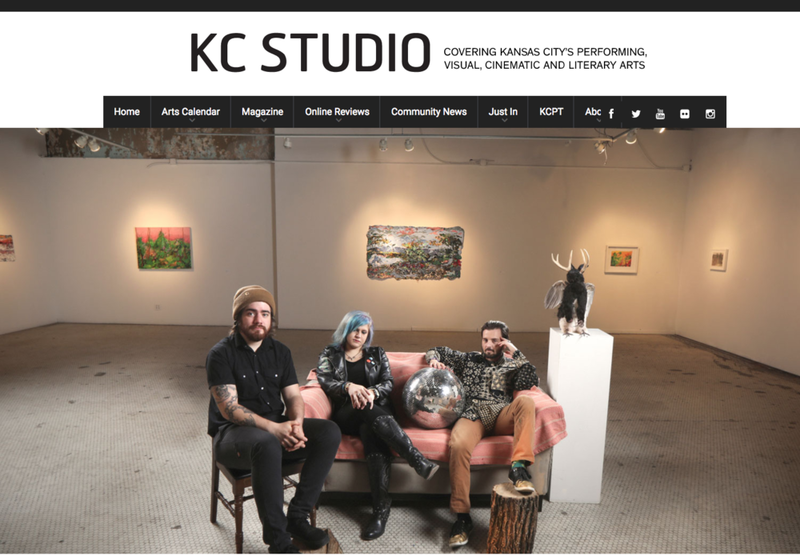 Click image for our recent feature in KC Studio magazine. "Finding affordable studio space is always a challenge for artists in Kansas City. The options were, and still are, limited. That’s what activated the idea of finding a building to convert into functioning art studios leased at affordable rates with utilities included. They envisioned a studio space for young artists who would stay and thrive in Kansas City. It got even more real when three of Camarena’s friends said they were in. The East Crossroads was just far enough off the beaten path that there were still some interesting abandoned buildings for sale. In 2012 Camarena and her parents found an old print shop right off 18th and Locust that might’ve been an older dancehall, built in the 1920s. The three went into business together. Vulpes, the genus name for the fox species, and Bastille, the infamous French fortress/hideout/prison, was the unusual name Camarena came up with." Click image above for full feature. Established in 2012, Vulpes Bastille is currently home to a number of practicing visual artists. The property was procured by Caranne Camarena, a KCAI Alum, who has successfully transformed the once empty building with the help of numerous friends and family. The building itself sits on the corner of Locust and 18th, and is easily identified by its orange facade. Vulpes Bastille was borne of the concern Caranne and her fellow students at KCAI shared of where they would create art once they graduated out of their college studios. What started out as a project to provide affordable work spaces for young artists, VB has evolved into a fully furnished art studio and a spacious gallery, all geared toward providing young artists and students with a place to grow their artistic practices. Vulpes Bastille Studios consists of a spacious art gallery and a collection of studio spaces in a 6,300 square foot warehouse located in the Kansas City Crossroads district. The studio spaces are available for rent to artists of all disciplines and career levels. A peek into one of the artist's studio. Interested in renting a space or proposing an exhibition? Please visit the 'Exhibition Space' and/or 'Studios' links on the left and submit a request!